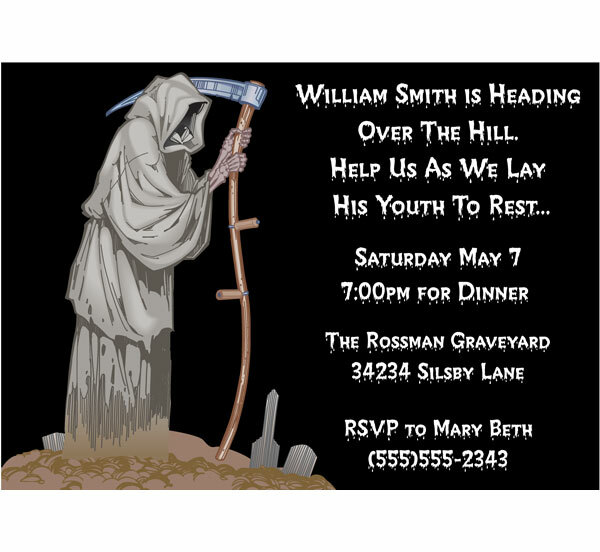 Personalize this grim reaper invitation with your photo. 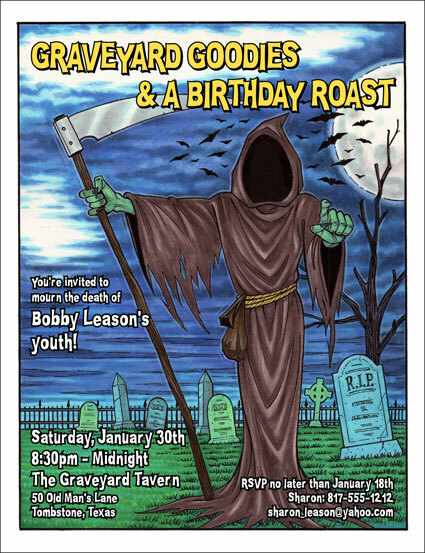 A fun over the hill vulture theme invitation you can customize. Choose any age on the tombstone! Choose your color scheme for this over the hill party invitation. Look who's over the hill!